Noisy neighbours? Flat converting? Oscars can help! The Oscar Acoustics Iso-Mount Type 1 is a space saving, isolating acoustic hanger for soundproofing ceilings. Iso-Mount Type 1 acoustic ceiling hanger fills a gap in the soundproof ceiling market. Previously all systems available were fixed to the undersides of joists, involving considerable ceiling height loss which was not acceptable to many occupants. 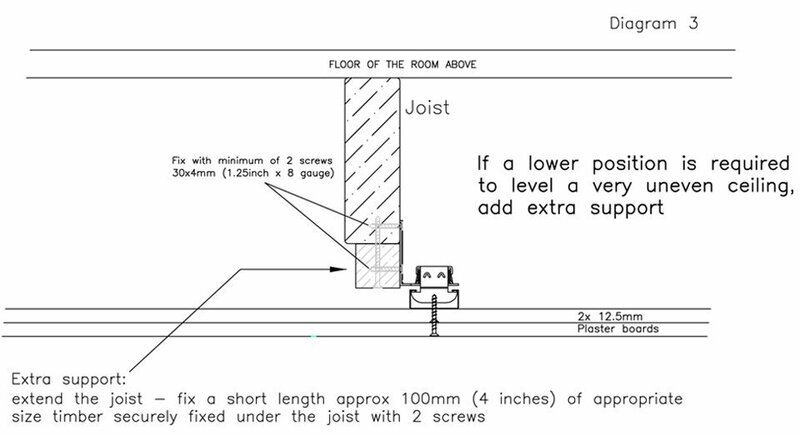 Iso-Mount Type 1 was designed to screw fix to the side of the timber joists which allowed the absolute minimum of ceiling height loss: just a few millimetres (1/4 inch) to allow the Gypsum ceiling boards not to be in direct contact with the joists. All the work is done from the room below; no work is required to the floor above. 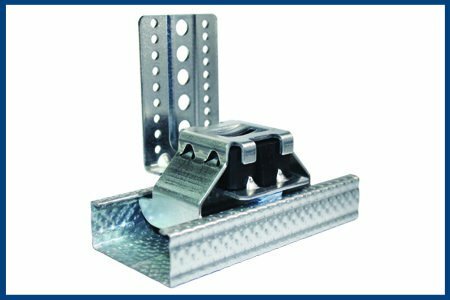 The Iso-Mount uses a standard clip-on steel channel that is widely available from several manufacturers. 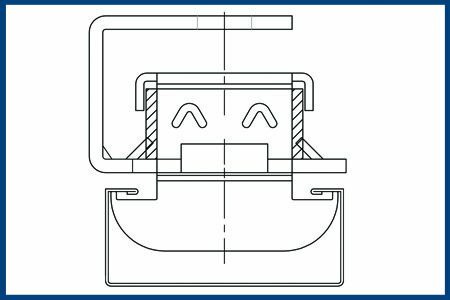 The rubber isolating block is substantial and of a calculated hardness (shore), it sits held in position but is not pressed or clamped into steel brackets: Acoustic on-site testing proved this to be a significant step forward. The installation achieves (better than), compliance with British building regs Approved Document E for airborne and impact sound. All soundproof ceiling work can be done without going into the apartment or room above. Easier and quicker than installing products on the floor of the room above: when doors, skirting boards etc. must often be shortened and adjusted to compensate for the raised level of floor. Appears no different to a standard plastered ceiling once complete. Adjustable side of joist fixing allowing minimum ceiling height loss and level ceilings across uneven joists. Achieves up to a 90 minute fire rating. Other components are purchased from your local stockist, further info is given on the product pages below. The systems can be installed by a competent DIY person, builders and in many areas we can recommend installers. Inbuilt height adjustment of 20mm (3/4 inch) at +/- 10mm (3/8 inch) useful for levelling. With M8 threaded rod the insulation depth can be significantly increased and/or the ceiling dropped around beams etc. Oscar Acoustics has over 40 years experience in the acoustics industry, working on such projects as Warner Bros film studios, Greenwich Royal Observatory, Tate Modern and the O2 Dome. 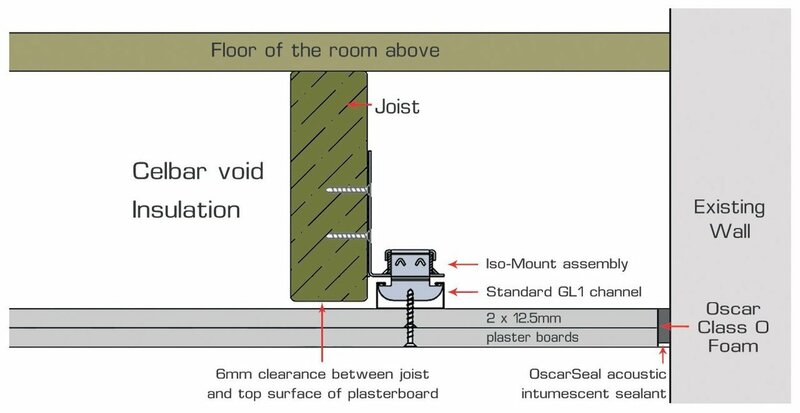 We now offer our knowledge to you, the builder, developer and competent DIY person with our new Oscar Iso-Mount range for ceiling soundproofing. Click the above logos for NBS Spec's, RIBA Product Selector, Iso-Mount BIM Objects or to view our CPD information. 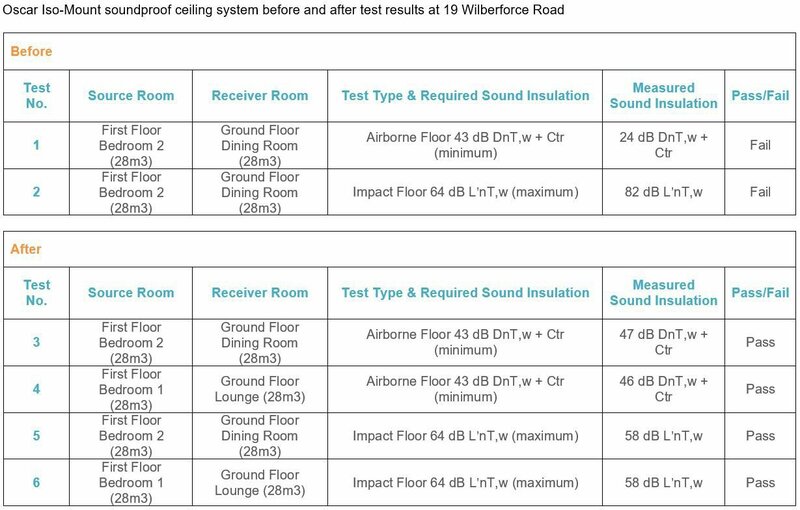 Independent acoustic testing by MRL Acoustics Ltd (acoustic consultants). Maximum loading of an Oscar Iso-Mount is 13.5kg. 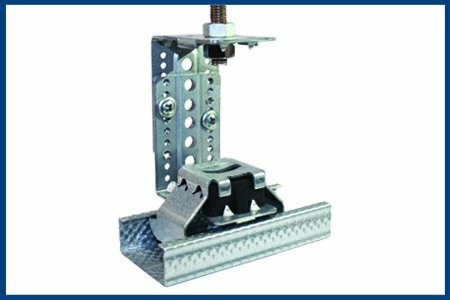 Spaced evenly at 4 Iso-Mounts per square metre the maximum loading per square metre is 54kg. Plus: The weight of downlighters, smoke sensors, grills etc. that are to be fixed in the plasterboard. Consult the manufacturers of the plasterboard for fixtures to be fixed directly to the plasterboard. Use fastenings as recommended by the manufacturer. Note: Celbar is an excellent thermal insulator. Bring this to the attention of your qualified electrician who may have to allow for heavier duty cables and top hat downlight covers. Covers are to be fitted in place following the Celbar installation.